Microsoft’s Windows 10 S is what happens when a once-easygoing operating system has kids and turns into a helicopter parent. 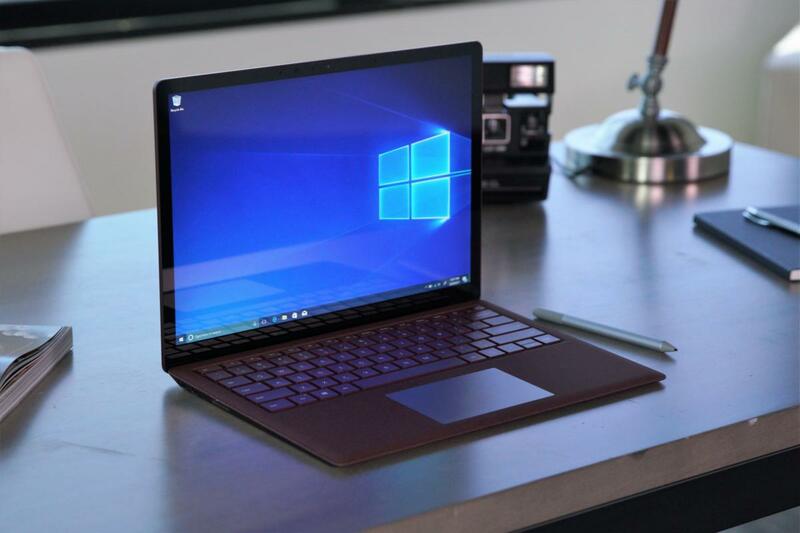 Windows 10 S, a locked-down version of Windows 10 found on the Surface Laptop and a small group of low-cost, third-party notebooks, keeps students safe and secure by restricting them to the Windows Store. But as our review shows, the lack of freedom chafes. Locking your PC away from the big, bad, outside world makes sense when your children are going off to high school or college, Microsoft thinks. But even the most dutiful parent will wonder why their child can’t use Chrome to beam YouTube videos to a Chromecast, print on some local printers, or protect their PC with anything other than Windows Defender. 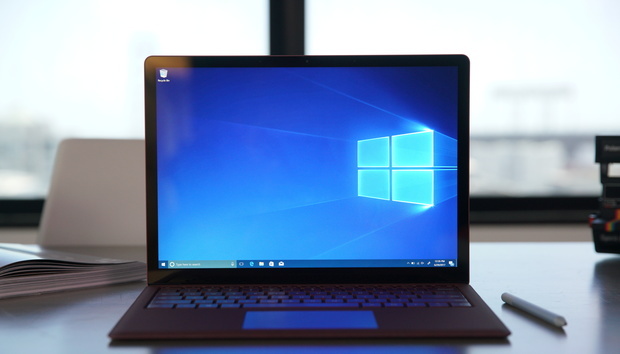 There’s always an escape hatch: a simple upgrade to Windows 10 Pro. But otherwise, Windows 10 S can be an exercise in frustration. Microsoft provides Windows 10 S free of charge to academic institutions, and it’s not hard to see why: Microsoft wants a school’s IT department (not you) to buy its associated Intune for Education management support software, as well as an Office 365 for Education subscription for the Office apps students will use. Windows 10 S and its hardware are also chasing Chromebooks, the cheap clamshell notebooks powered by Google's free and manageable Chrome OS, which have taken the education market by storm. The resemblance is not an accident: In fact, as we were writing this review, Asus let us know that a version of its Chromebook C202 would be released in September as the W202NA, a Windows 10 S-powered machine. 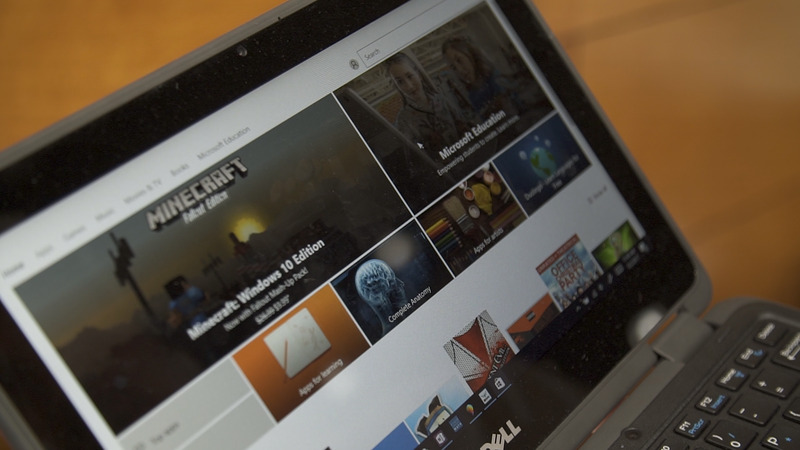 As with Chromebooks, students can't pick up a copy of Windows 10 S and load it onto their own machine. Instead, Windows 10 S will come preloaded onto Microsoft’s Surface Laptop or a small cadre of third-party Windows 10 S laptops priced for modest school budgets and ruggedized to withstand classrooms full of kids. So far, however, only the Surface Laptop is available. As Microsoft revealed in August, the low-cost Windows 10 S laptops won’t ship until at least September, possibly missing the back-to-school window for the 2017 school year. For this review, we’re not considering how manageable Windows 10 S is, or whether it's a better choice for securing an academic environment than Chrome OS. Instead, we’re looking at it from the user's perspective—what it's like to use compared to full-fledged Windows. Our test machine: the Surface Laptop. We tested a Microsoft-supplied Surface Laptop, which comes preloaded with Windows 10 S. We will note, however, that we upgraded the Laptop to Windows 10 Pro for benchmarking. To return the Surface Laptop to Windows 10 S, we downloaded a publicly available Surface recovery image, which is something you'd normally do only if your system were malfunctioning. The process was pretty easy, though Microsoft says that you’ll need a USB stick of at least 16GB in size. We found it took about an hour’s worth of time to download and install the image. Microsoft also asked us to make this crystal-clear: If you revert from Windows 10 Pro to Windows 10 S, all apps, data and settings are reverted, and will be erased from your PC. Hey, this is (only) Windows 10! If you’re comfortable working within the Windows 10 environment, Windows 10 S really is almost virtually identical to Windows 10. The so-called Out of the Box Experience is identical, with Cortana walking you though setup. Once inside the operating system, nearly all Windows functions like Windows Hello, File Manager, Cortana, Windows Ink, and the various built-in Windows apps all work identically to their equivalents in Windows 10 Home or Pro. Microsoft tries to convince you that Windows 10 S is almost Windows 10 Pro. In fact, Microsoft’s own summary slide points out that Windows 10 S and Windows 10 Pro are nearly identical, but with two key differences: Windows S is restricted to apps in the Windows Store, and you can’t join a Windows 10 S machine to a company domain. 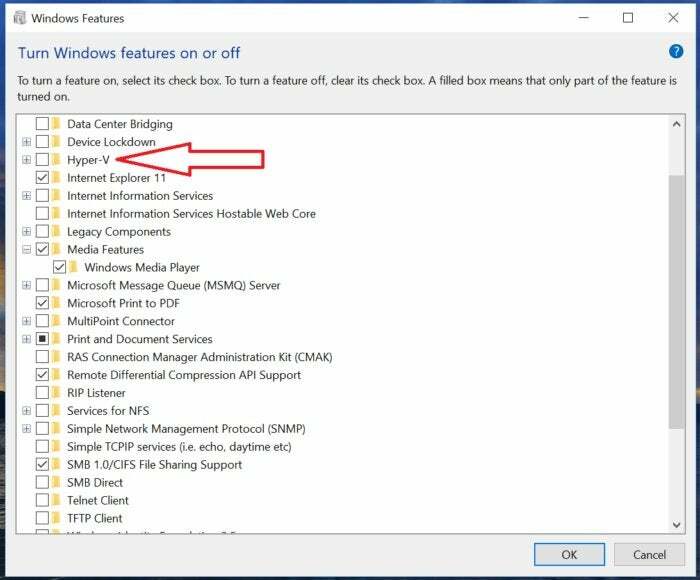 Otherwise, on both Windows 10 S and Windows 10 Pro you can use BitLocker, Windows Subsystem for Linux, and the HyperV virtual machine manager, though you may need to enable features within the Windows Features control panel. 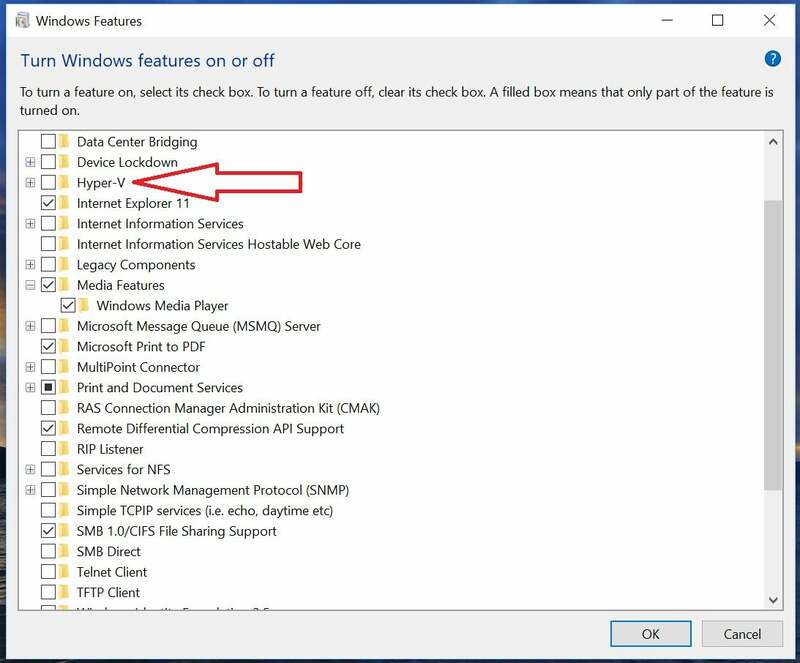 Like Windows 10 Pro, you have access to advanced features like Hyper-V even within Windows 10 S. Don't expect to enable all of these advanced features on the low-cost Windows 10 S hardware, though. It’s when you become bored or dissatisfied with Windows that the troubles start. Sorry, no Win32 apps for you! 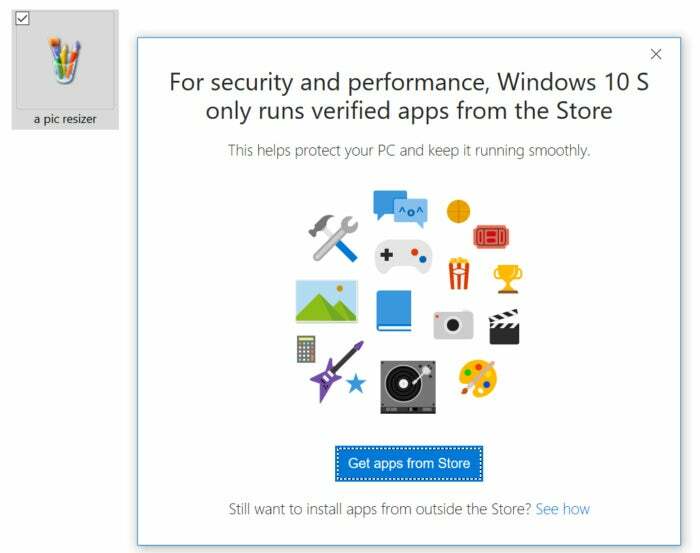 Windows 10 S has strict protections in place. That means, for instance, you can’t download a game from the Steam gaming service. If you’d like to use Google’s Chrome browser, you can’t—only Edge. Windows 10 S will allow you to download an executable file from a third-party source, or transfer it onto the PC from a USB stick. When it comes time to launch it, though, Windows 10 S will block it. You likely have certain apps that you simply take for granted, whether they’re class requirements—like Photoshop (or GIMP), AutoCAD, or MatLab—or teaching aids for younger students, like Mavis Beacon Teaches Typing. Silly little utilities that you may have tucked away in a folder simply won’t work. Remote support solutions like LogMeIn123 also require the user to download an executable before a remote technician can log in and help you solve an issue with your PC, so this solution’s out, too. Even tried-and-true executable "apps" within Windows, such as the Command Shell or Registry Editor, are off-limits. If you try to download and install Google's Chrome browser, a different warning pops up, encouraging you to open Edge instead. This can’t be overstated: The lack of flexibility is the biggest reason not to invest in a Windows 10 S notebook—unless you plan to upgrade it to Windows 10 Pro. 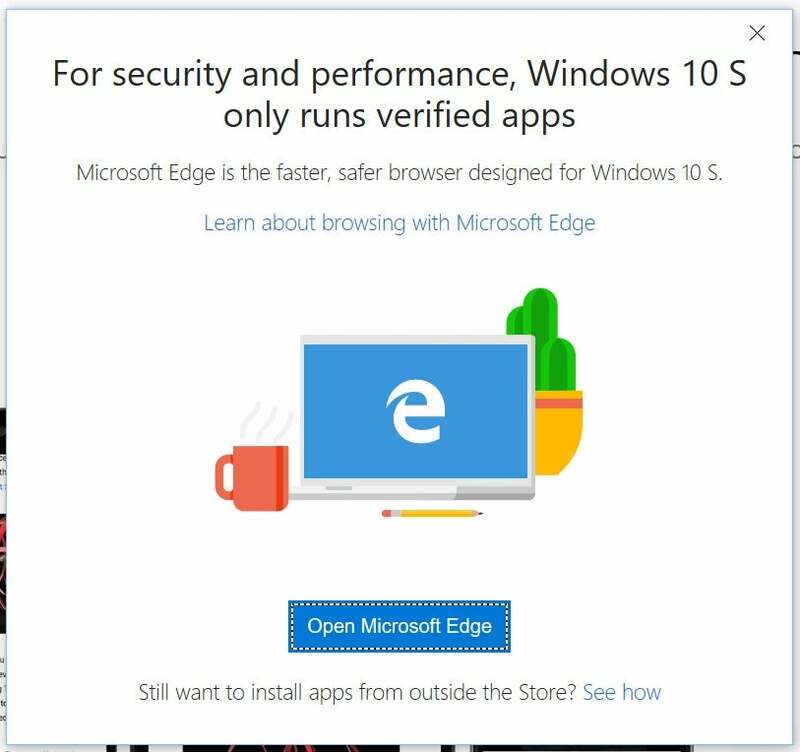 A larger issue, in my mind, is that Windows 10 S forces you to use Microsoft’s Edge browser. While the number of available Edge extensions has climbed to 48 at the time of this writing, with excellent choices including Ghostery and LastPass, Opera, Chrome, and Firefox have thousands of plug-ins and extensions from which to choose. Importing websites and stored passwords from platform to platform simply isn’t as convenient in Edge as it is in Chrome. Bottom line, it’s a change in behavior that’s forced upon the user, which is sure to irritate some. Finally, there's Office. 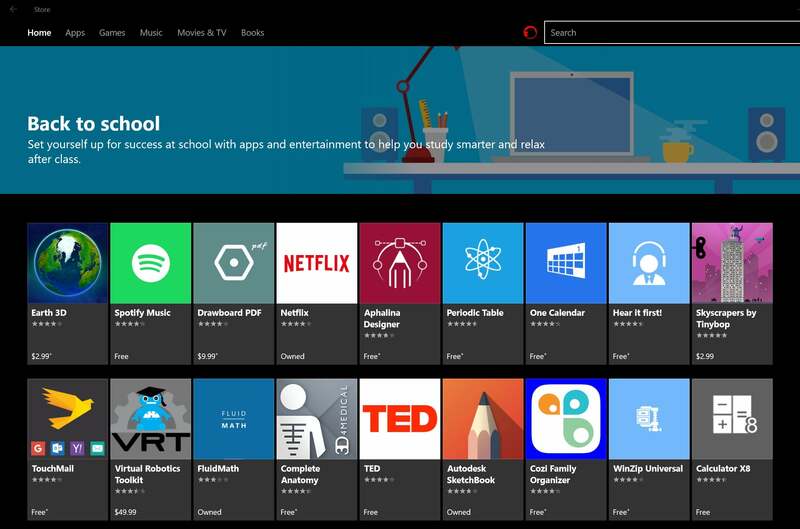 The Windows 10 S “private catalog” feature allows a school or university to create a sort of “store within the Store” to carve out apps that a particular class might need. It won’t allow you to join the machine to a business or corporate network, though. This might not mean much, but if you had visions of saving a buck or two by connecting a business account of Office 365 to a Windows 10 S PC, it won’t work. The Surface Laptop we reviewed did come with a year’s subscription to Office 365 Personal, however, which is available in a beta form. I noticed no differences between Office 365 and the Windows 10 S versions of the apps. 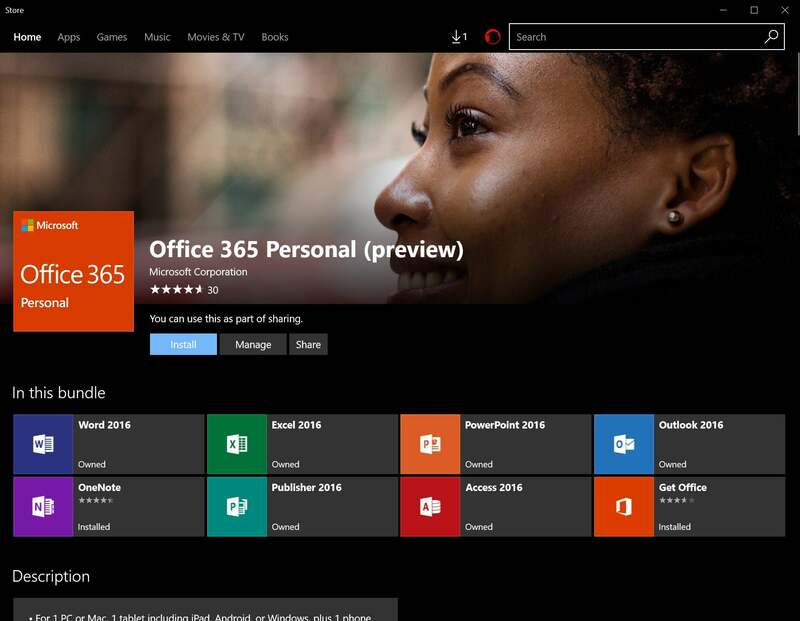 A number of Office apps are available under Windows 10 S, which appear to have the same functionality as they do under Office 365. Some parents will undoubtedly support removing the potential distraction of say, Overwatch, from their child’s PC. And if a school has a web-based curriculum set up for Chromebooks, a Windows 10 S machine should be able to step in without missing a beat. But in my mind, the lack of freedom to obtain apps that students may need robs a lot of the value from Windows 10 S, especially as kids move higher in the educational system. Unfortunately, the compatibility issues apply to third-party hardware, too. 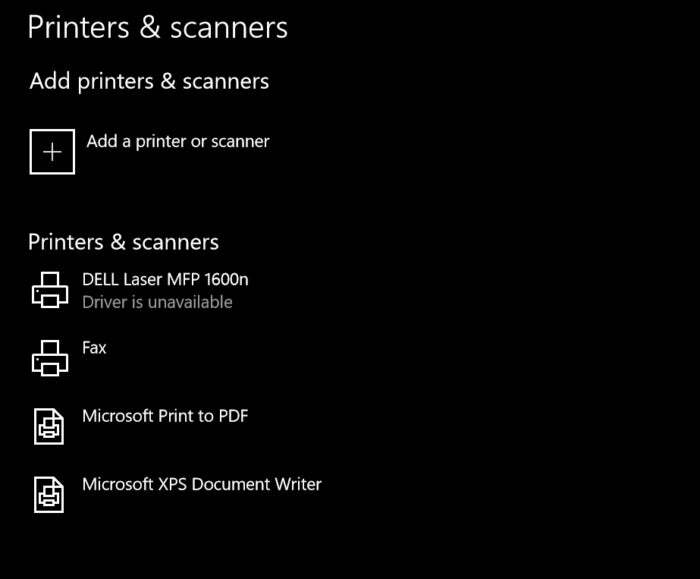 When I tried to connect the Surface Laptop to an older Dell all-in-one printer via a USB connection, the Laptop recognized the hardware, but wouldn’t load the driver—in other words, I couldn’t print, with no explanation why. Any driver or third-party application that contains scripts or executable files will be blocked by Windows 10 S, Microsoft's support documentation reveals. But that's a lot of gobbledygook to a consumer who buys a Surface Laptop for their student, then has to call Microsoft or a support tech to find out why their son or daughter can't print a draft of their paper. Unfortunately, this older Dell printer that I use at home can't print anything when I'm running Windows 10 S. Note the "driver is unavailable" message. It’s worth digging though this Microsoft-compiled index of supported (and unsupported) devices on Windows 10 S to see if you’ll experience the same problems I did: The vast majority of older printers simply aren’t supported by Windows 10 S. To be fair, setting up Google Cloud Print for a Chromebook has its own issues, which is why Google is adding local printing as an experimental feature in Chrome OS. Still, doesn’t it seem slightly insane to be forced to ensure your devices are compatible before buying a Windows machine? You may recall that the "S" in Windows 10 S supposedly stands for "simplicity," "security," and "speed". We've already seen the downside of "simplicity." One of the selling points of Windows 10 S, according to Microsoft, is its resistance to “known ransomware.” Windows 10 S is the company’s newest and most hardened OS, according to a company blog post. ZDNet almost immediately put that claim to the test, and found that Windows 10 S could be exploited via an old workaround: Word macros. We didn’t try to reproduce ZDNet's results, but take Microsoft’s claim with a grain of salt. Another thing to consider: Don’t think that apps like Avast Antivirus Download Center, Kaspersky Now, or McAfee Central—all apps that appear in the Store when you search for “antivirus”—represent actual antivirus programs. They’re not. You’re dependent upon Windows Defender’s built-in firewall and antivirus—both competent, but probably not as secure as a third-party solution. Finally, there’s speed. Microsoft claimed that Windows 10 S is faster to boot and resume than Windows 10 Pro. 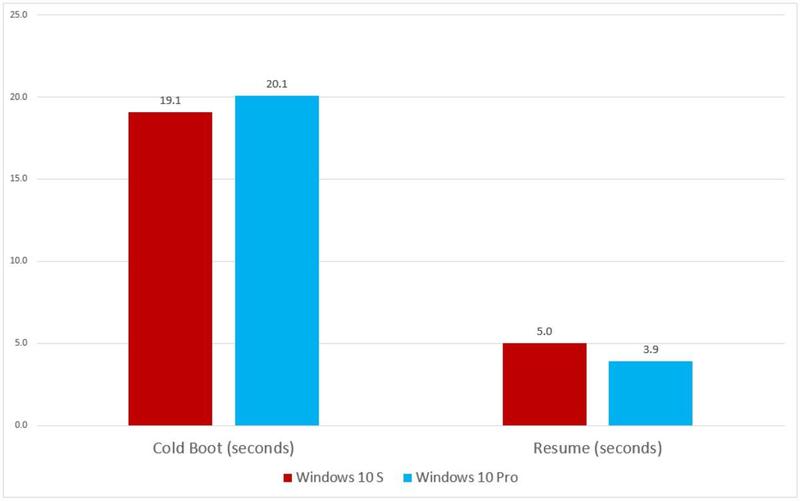 Originally, we found that Windows 10 S was slower than Windows 10 Pro. After retesting, we found it’s slightly quicker to boot, but also slightly slower to resume from a cold boot. Neither difference is especially significant. Piercings, tattoos, dating the drummer, beer, a joint: all tried-and-true ways for today’s youth to rebel against their parents. 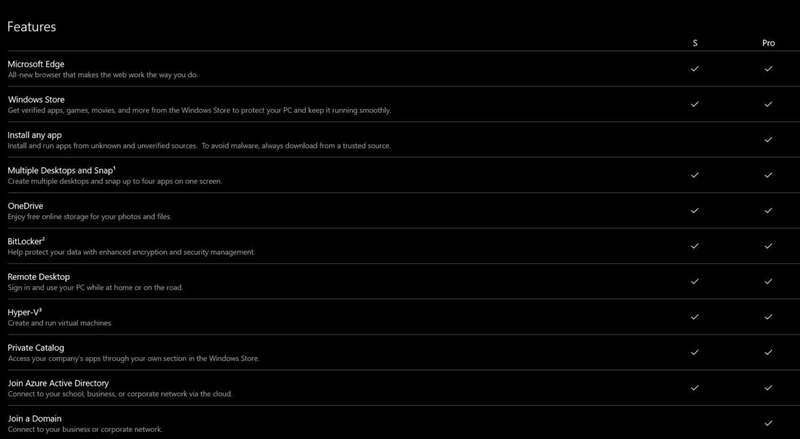 Now, you can add another to that list: upgrading Windows 10 S to Windows 10 Pro. If your son or daughter wants to really stick it to The Man, they can upgrade to Windows 10 Pro in just minutes. Windows 10 S makes it easy to "switch," or upgrade to Windows 10 Pro. 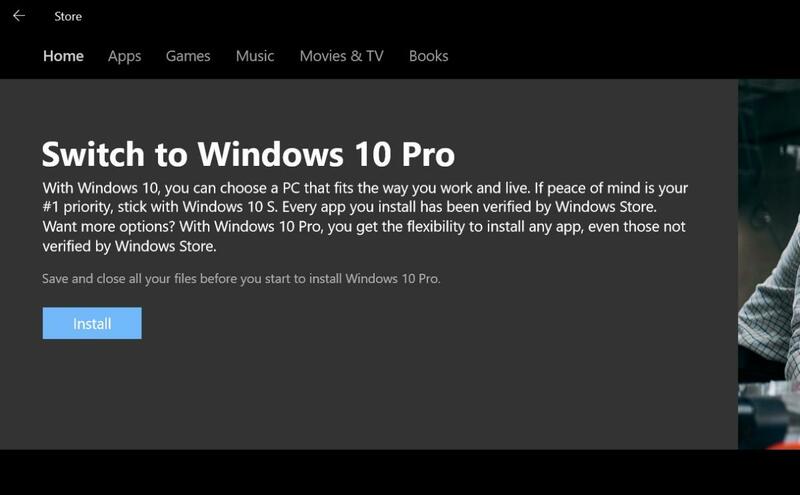 You can upgrade to Windows 10 Pro through one of two ways: either by a link at the bottom of the Windows 10 S popups that appear when you try and run an executable file, or by simply typing Windows 10 S Pro into the search box of the Windows Store. Either way, clicking the Install button begins the process. It doesn’t appear that you’ll actually need to download the new operating system, as I was able to upgrade without being connected to a wireless network. Windows recommends that you save and close all your files and apps before you begin the process. Backing up to OneDrive or another location would be a good idea. When I upgraded from Windows 10 S to Windows 10 Pro, Windows informed me it was “preparing to switch,” rebooted once, than completed some final preparations before it launched Windows 10 Pro. All told, the process took nine minutes. As we noted above, the switch from Windows 10 S to Windows 10 Pro is assumed to be a one-way street. That’s not necessarily true, as you can download and restore from a Windows 10 S disk image. But restoring Windows 10 S from that disk image will erase all files, apps, and settings—so make sure you’re prepared to do so. It’s difficult to construct a scenario where a user would want Windows 10 S. Sure, an elementary-school student with a curriculum built around the Web might not care whether they use Edge or Chrome. A concerned parent trying to minimize distractions for a child away at school might buy a machine running an OS that locked out most games. Part of the issue concerns how Microsoft has attempted to stretch Windows 10 S from elementary schools all the way through college, which have vastly different requirements in terms of hardware and software. Because they’re limited in their choice of software, it’s likely that most university students will quickly switch over to Windows 10 Pro. Meanwhile, Microsoft seems to think that elementary and middle school administrators will be willing to wait until cheaper Windows 10 S hardware finally rolls out, then shift lesson plans designed for Chromebooks onto Windows machines. That seems unlikely. Within the K-12 environment, Windows 10 S seems like a 2018 play at best. Schools and teachers are always on the lookout for cheap, entertaining ways to supplement their own words and lectures with compelling ways to engage students. Computers, whether Chromebooks or Windows-powered machines, are a naturally enthralling way to do that, and capabilities like Windows Ink offer possibilities Chromebooks do not. Give kids enough to do, and they’ll happily remain inside the walled garden of the Store. Still, I’m a little skeptical that the company’s on the right track when the second app within Microsoft’s “back-to-school” section of the Store is Spotify, and the fourth is Netflix. Updated on Sept. 5 to note that the deadline to upgrade from Windows 10 S to Windows 10 Pro has been extended to March 31, 2018.